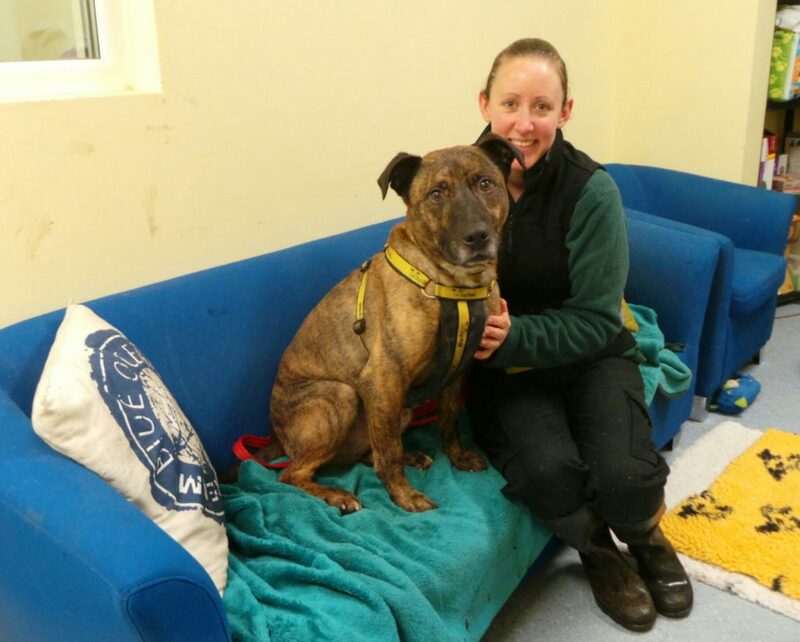 Dogs Trust Ilfracombe has launched an appeal to find homes for three elderly dogs with the combined human equivalent age of 175. 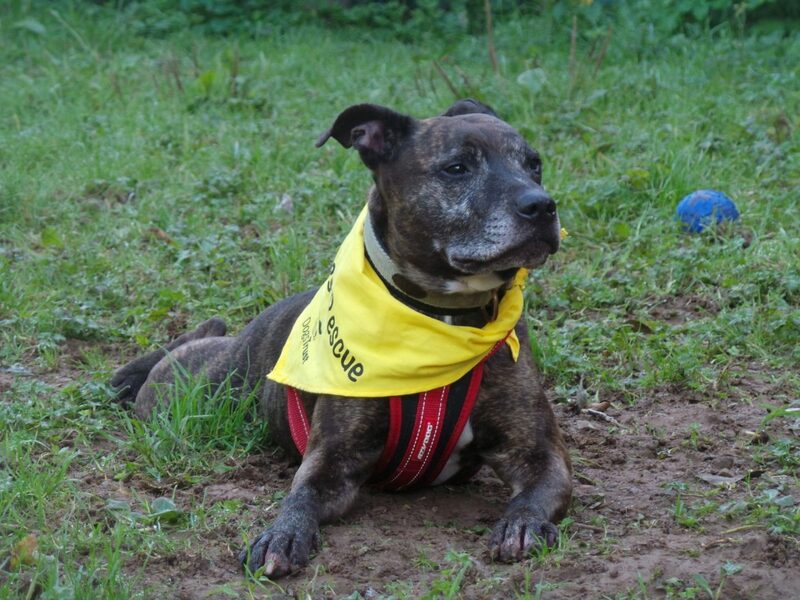 The homeless pooches are eight-year-old crossbreed, Zane; nine-year-old Labrador cross, Saxo; and eight-year-old Staffordshire Bull Terrier, Lara (main photo). Staff at the rehoming centre are worried potential adopters overlook the dogs because of their age, but say the dogs are all still young at heart. The average stay of a Dogs Trust resident is 39 days, but sadly, these canines have spent a combined total of almost 300 days in kennels. 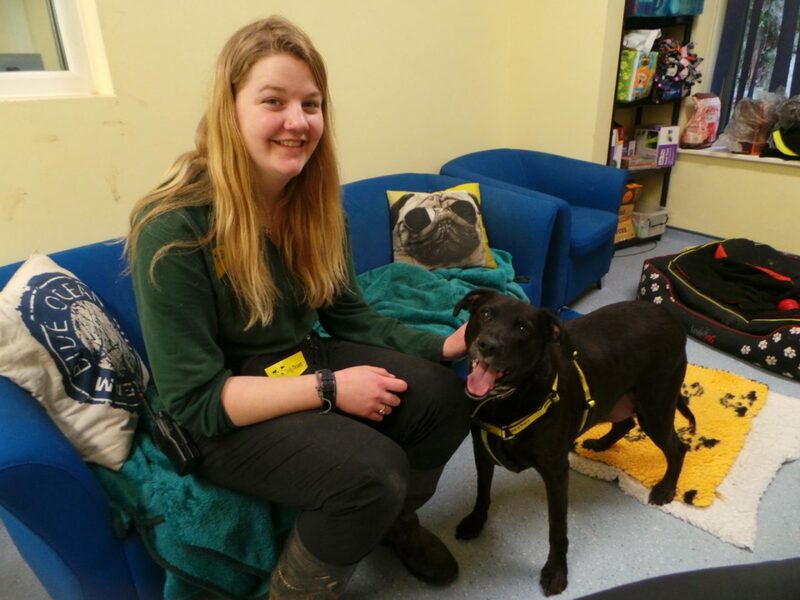 Rogan Quinn, Dogs Trust Ilfracombe Rehoming Centre Assistant Manager, said, “As much as we love the company of these lovable elderly residents, we would love to see Zane, Saxo and Lara find a retirement home of their dreams so they can really put their paws up. If you would like to find out more or consider adopting another golden oldie, contact the Rehoming Centre on 0300 303 0292 or visit the centre at Hazeldene, West Down, Ilfracombe, EX34 8NU.